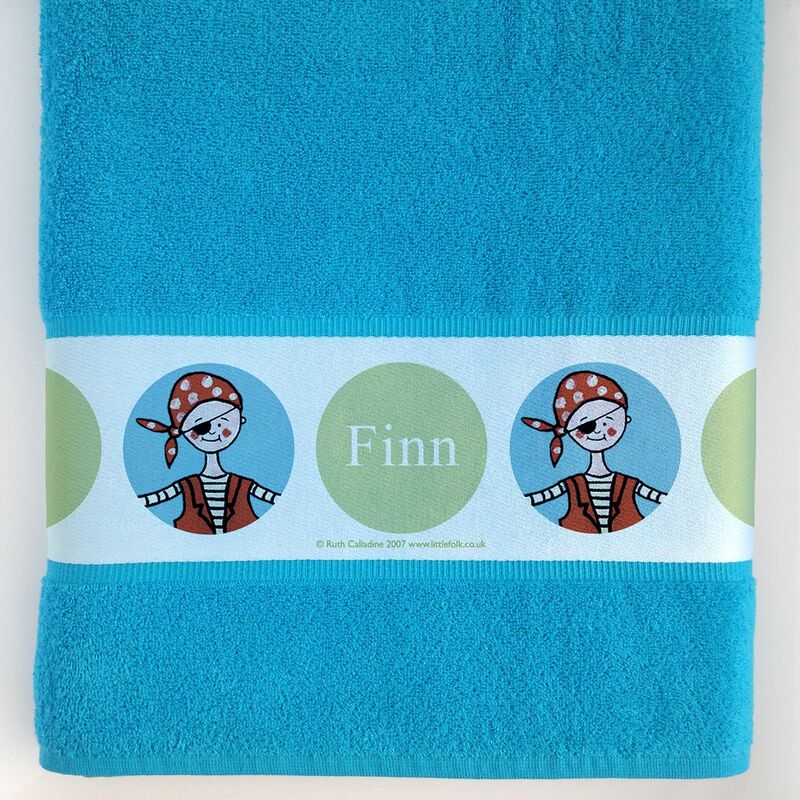 A personalised large towel featuring the Pirate Dots from Little Folk. 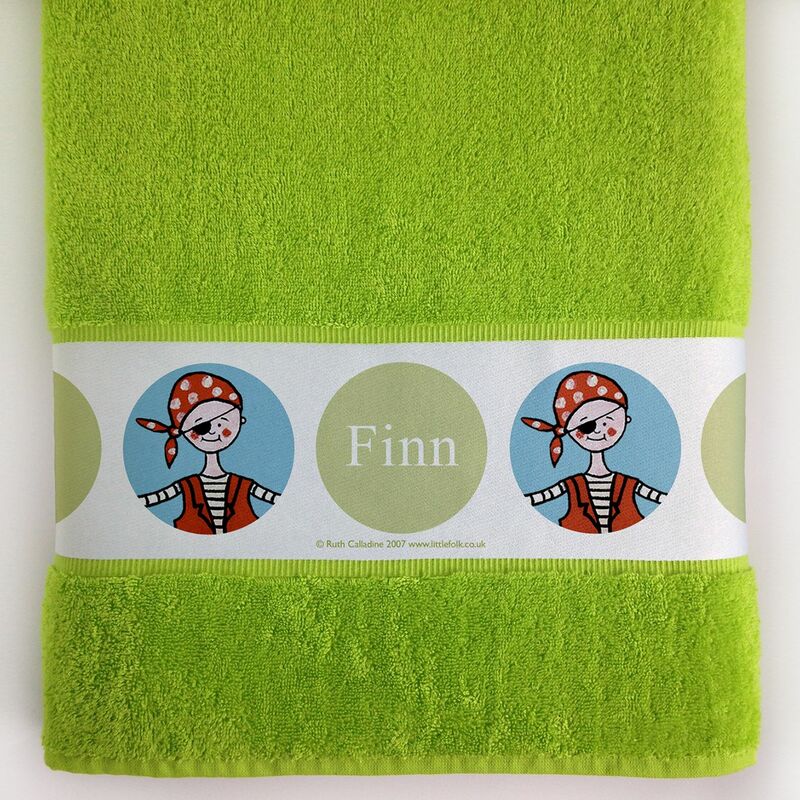 These super soft Turkish cotton towels are all individually personalised and printed for your boys and girls. 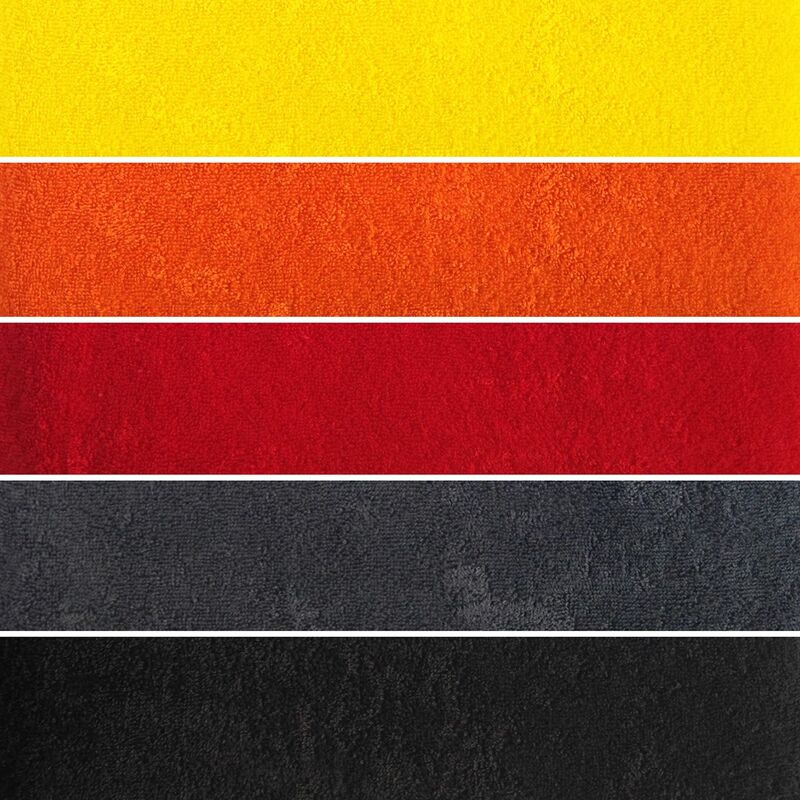 They're great for using at home or at the beach and swimming pool, too. The name is permanently printed onto the towel and will not crack or peel. 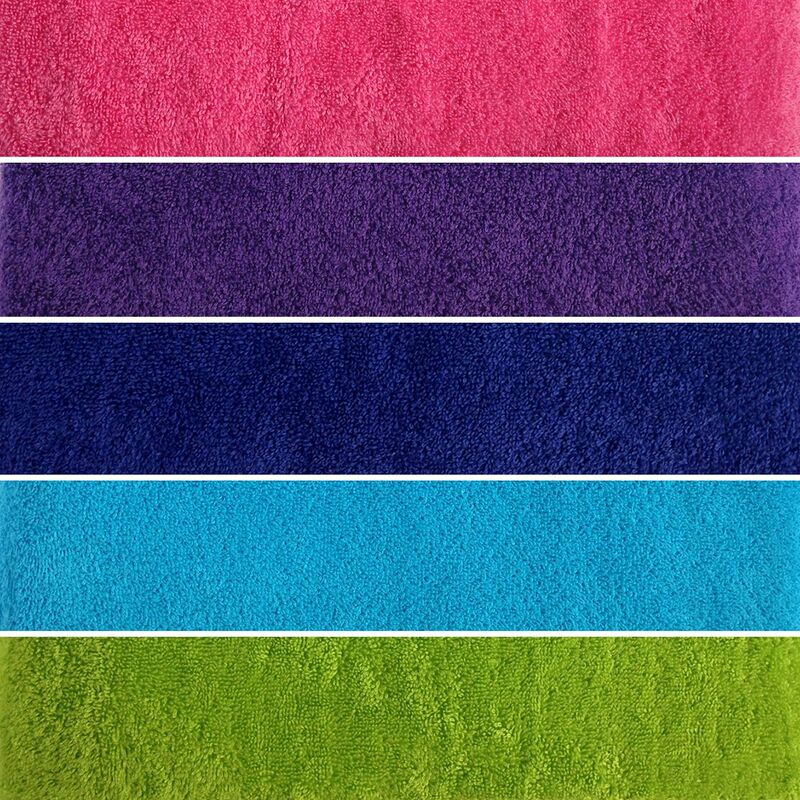 Any name can be personalised on to the towels however, please bear in mind that the longer the name, the smaller it will appear on the towel band. 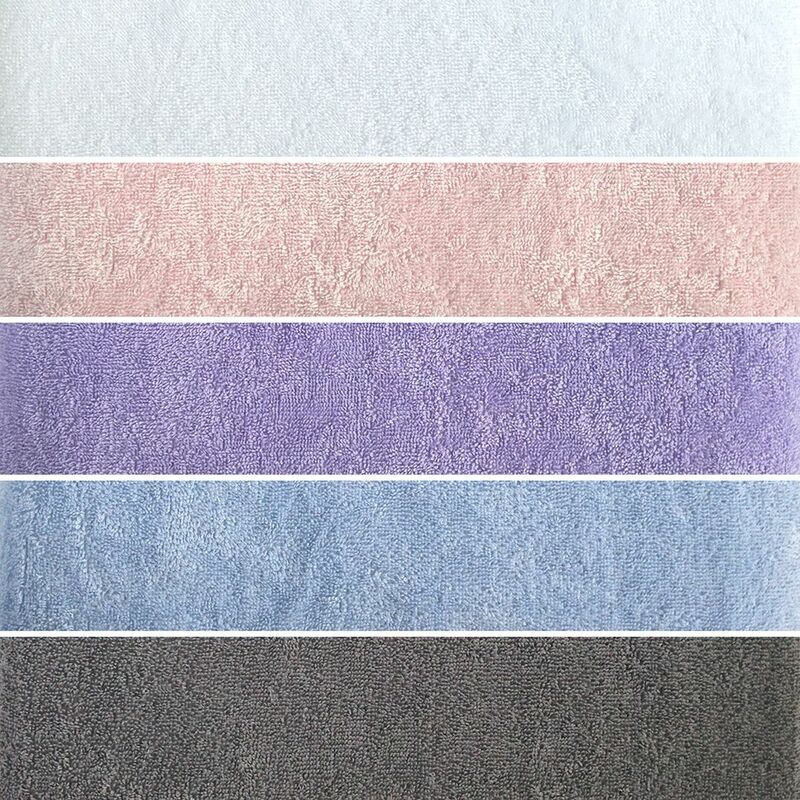 For example, 'Isabelle' will be printed at a larger size than 'Isabelle French'.